Fishy Fortune is a slot that has five reels and three rows, giving it a standard layout and making it easy to play. At the bottom of the screen, you can configure the number of pay line you want to play with. At max, you can play with ten active pay lines. Also at the bottom, completely to the right, you can configure the coin value. More to the left, you can configure the number of coins per active pay line. The standard symbols range from the nine to the Ace, and the animations have to do with the overall theme. That is, you will encounter fish, seahorses, and an octopus. Especially this eight-armed animal will be of significance to you. The slot also has a wild symbol that will help you to form wins. 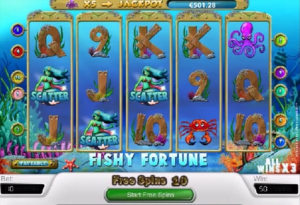 Fishy Fortune is a slot by Net Entertainment that takes place completely underwater. 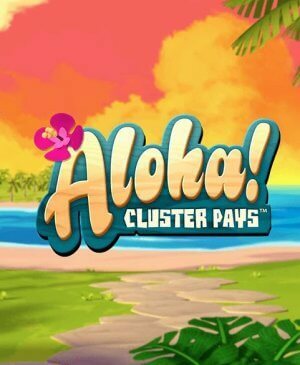 However, a lot of other slots also have this same theme so Netent needed to make sure this game stands out of the crowd. And it does. Thanks to the progressive jackpot €100, they equipped this slot with, a lot of players will want to try their luck on it. This jackpot actually is one of the few highlights of this slot. Namely, the slot uses quite some standard symbols. It does have some theme-related animations, but the most focus seems to have been directed towards the jackpot. How to play Fishy Fortune? 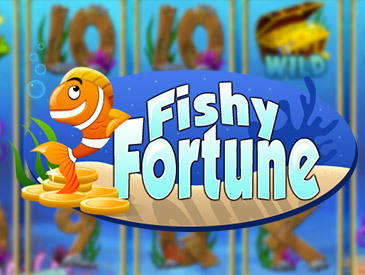 Fishy Fortune is not only equipped with a progressive jackpot, it also has free spins making this slot interesting. In order to reach free spins, you’re going to need the oyster to land on your reels. More specifically, you will need at least three of them. Three oysters equal 10 free spins, four oysters equal 20 free spins, and five oysters equal no less than 30 free spins. 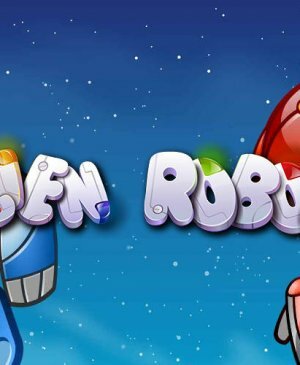 What’s great about this game, is that you can also win the jackpot during free spins. These free spins are spun on the same reels as regular spins, making it easy to just continue playing. Fishy Fortune makes use of a total of 10 pay lines. However, you can alter the number of active ones. You can do so at the bottom of the slot. 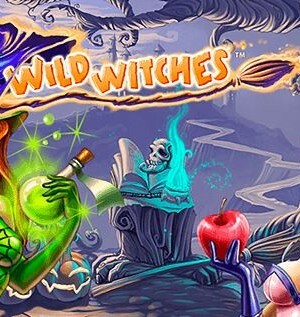 The progressive jackpot is the most interesting part of this slot, followed by free spins. The height of the jackpot varies strongly, as it is progressive. Therefore, the jackpot might stand at a few hundred euros or at tens of thousands of euros. The rate at which this jackpot increases is directly related to the popularity of the slot. Namely, the more people play this slot, no matter at what casino and no matter in what region of the world, the more money goes to the jackpot.